We ask this question all the time…. How can I get traffic/follower growth as a *new* blogger? Usually the answers are disheartening and overwhelming…but today’s guest is here to present how he kickstarted a new blog with one. extreme. post. Before post -> traffic peaked at 13 views. After post -> 10,000+ views in a few days. The idea is simple. Not easy, but simple. Adam Fortuna (Minafi.com) is a brilliant, brilliant guy. Before diving head-first into personal finance, he was (is) a world-class developer, coder, product manager (I’ll plug his company, CodeSchool.com. It’s fantastic for those looking to learn to code. I’ve taken 3-7 or their courses). How he engineered a blog post for mega success, and took his traffic from a few dozen a day….to over 15,000 views in a weekend. Seriously, what he did is incredible. Cheap or free tools/resources for eliminating distractions while on your computer to focus on productivity. 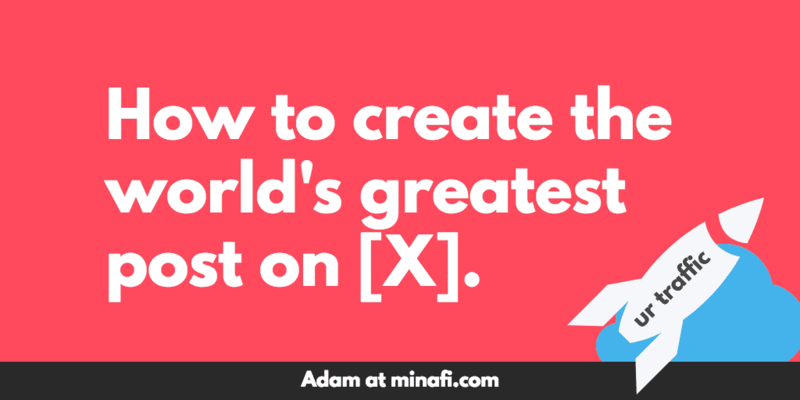 Adam has a perfect example of a cornerstone piece of content: I.e. a huge, important, definitive post for your blog. Something world-class, unique, can’t be found anywhere else on the internet. The main reason most bloggers never do this sort of post? It takes an incredible amount of work. But frankly, let’s break it down: Every now and then, you need a massively successful post to drive blog growth. Viral post, viral image on Pinterest, something that just really resonates with the community. 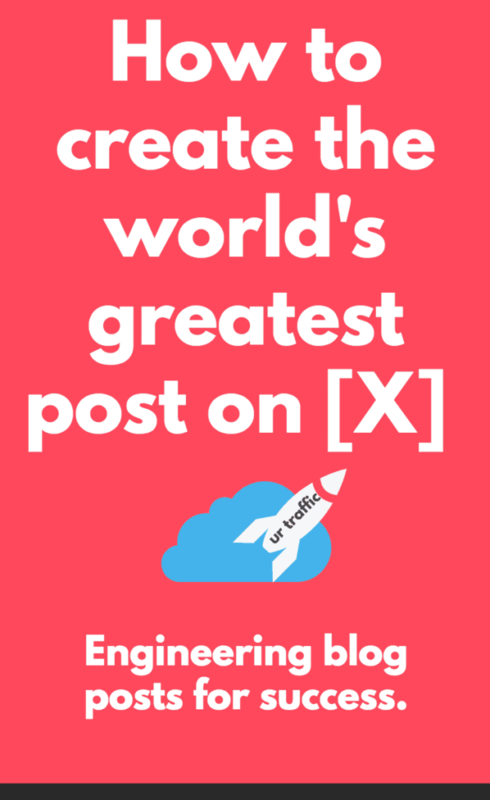 Even if you only produced 2 epic-sized-super-posts a YEAR, it could be huge for your blog and business. Could you *literally* produce a mega-valuable piece of content that defines your blog/brand and goes niche-viral? What would that look like? Not many people do this, because it’s hard as hell. However, I’m creating a 3-day blueprint for a cornerstone piece of content. Grab it below. Clutter destroys focus. It’s science. I use Hazel personally to organize my files (mac only), clean up desktop and download folders, etc. Adam talks about Bartender for Mac. I think this is key for productivity. The less we can TEMPT ourselves to click-through to Facebook, Twitter, Slack, X, Y , Z….whatever we find ourselves opening on auto-pilot…the better. When pitching sponsorships, guest post outreach to other bloggers, etc….going the extra mile is crucial. It helps you stand out from everyone else doing the same thing (and there are tons, probably), and we shared how to use Chrome Developer Tools for a tiny little hack. It’s a tiny little thing, but just enough to make someone say “woah the spent time on this,” etc. Also, it kind of feels like hacking. Tis Fun. How is Adam doing? 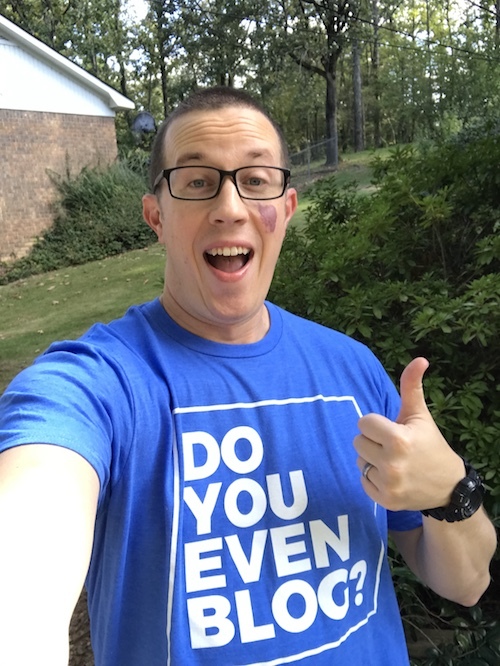 Please comment below and I’ll send a random commenter a DYEB T-shirt! I’ll give a SUPER comfy dyeb tee to a random commenter. How’s Adam doing? How am I doing with this podcast? Let me know! An Interactive Guide to Early Retirement and Financial Independence – the super-mega-post! It’s so good lol. Perennial Seller – Ryan Holiday is a master author. Love his stuff. Yet Another Mail Merge – Google sheets add-in for mailmerging. Super handy. CloudApp – What I use for quick screen shots, quick videos, quick gifs, all hosted in the cloud. It. is. awesome. Skitch – same thing essentially. Derek Sivers – One of my all-time favorite influencers, bloggers, philosophers. He’s amazing. That epic post was so incredibly awesome. A huge undertaking, but it was innovative and engaging. One of my favorite things I’ve seen in the PF community for a long time. Fantastic Podcast!!! So much to learn from as a blogger. Adam’s post is amazing! It was great to hear the backstory of how it was created. I liked the post so much I linked to it in a post of my own (it’s linked to my name here.) Keep up the good work guys. Thanks for creating this. Oh and I’d a happy to be a beta reader on your next project. I like the tip about formatting your guest post to match the website you are pitching to! I think it helps to go the extra mile, at least for those websites that are very popular and receive pitches all the time. Thank you as always for sharing these helpful hacks! It’s the silliest and smallest thing, but makes a big difference! Same as trinity above- loved the tips for formatting. I am an organized individual who is more of a minimalist. Loved the focus on staying de-cluttered in blogging too.